How to design a traditional home. Design inspiration on the shores of Lake Como, Italy. I feel a little guilty writing about lake Como as an inspirational destination. 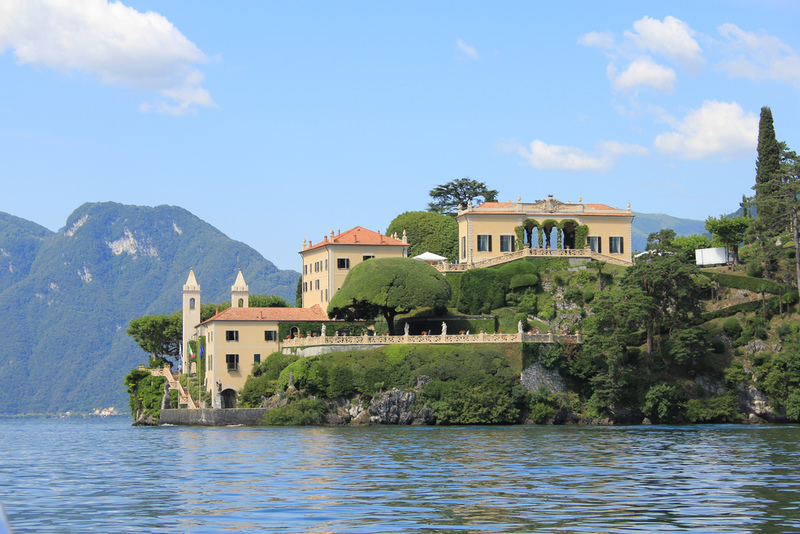 Not because it's not inspirational, it really is, but because trying to replicate the architecture of Lake Como's villas in your own homes is likely to be fraught with difficulty. Let me explain, normally one looks at a feature on a house and thinks that would look great, I think I'll try that. The trouble here is that there are many features that work really well because of the setting. It's easy to get away with any flight of fancy when you are perched on the shores of a glacial lake in Northern Italy. All ornament and gilding is subdued by the magnificence of the mountains that surround you. What’s more you are nestled in an area that was once a holiday resort for people who wore togas and said things like 'Et tu, Brute?' (In case your Shakespeare is a little rusty that's the Romans.) Everything therefore is nicely mellowed and tempered by age. So with the health warning out of the way lets talk about the reasons it's inspirational, that’s actually a whole lot simpler. 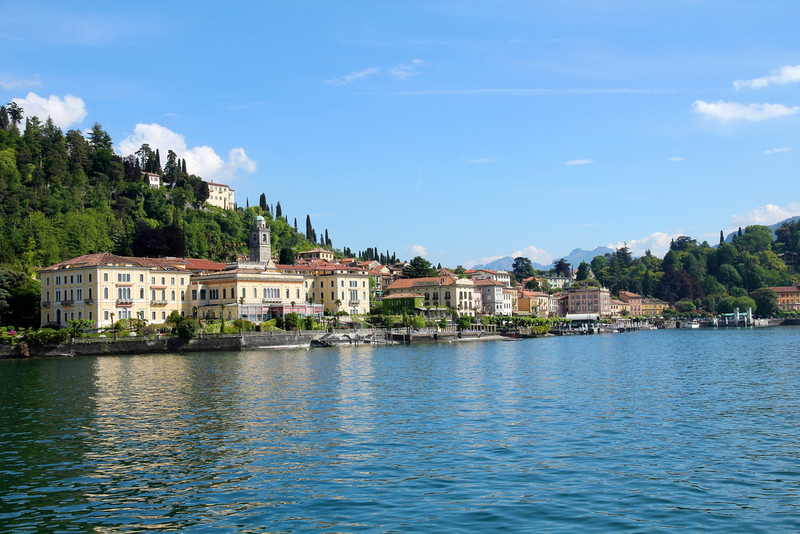 Precisely because it has been a holiday resort to the wealthy, since the Romans, Lake Como's shores are adorned with towns that are a classical fantasy land of stucco and stone. When my wife and I visited the lake we stayed in the old town of Bellagio. The great thing about Bellagio is that as it's difficult to reach by car most people don't seem to bother and, as such, life in the town still revolves around the docks, much as I imagine it has always done. The town itself is set on a hillside. Cobbled streets climb from the waters edge to small town squares above and although the main business here is tourism it retains an comfortable sense of its own distinctly Italian identity. The main reason people visit the lake are the multitude of Villas that surround it. Each built by some wealthy and often powerful patron with very little thought ever given to trivialities such as a budget. Some of these are now hotels, in Bellagio itself Grand Hotel Villa Serbelloni is a former Villa, but for me the most evocative of the villas are those that are now open to the public in a semblance of how they would once have been. 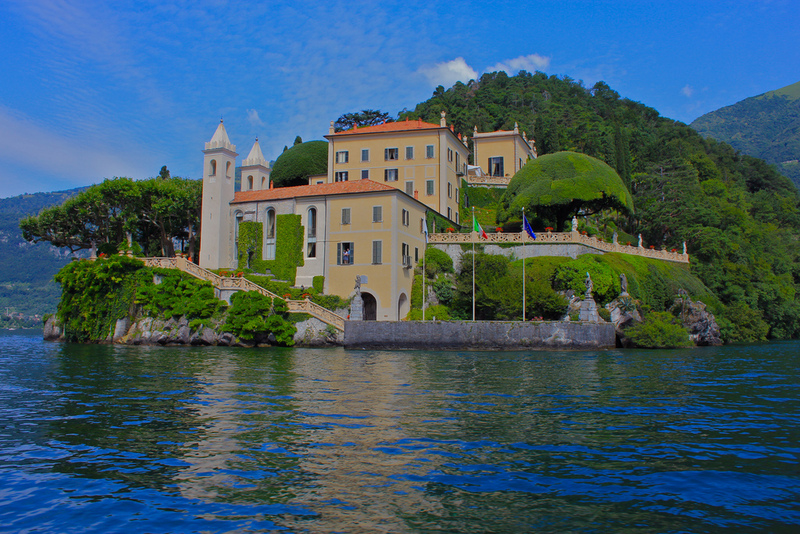 My favourite of these was Villa Balbianello. A Franciscan monastery on the very edge of a peninsula jutting out into the lake. It was turned into a private home in the late 18th century and was last lived in by a millionaire explorer who filled it with the finest antiques that his considerable wealth could buy. The beauty of this Villa for me is in the taste of the last owner, a gentleman by the name of Guido Monzino. Monzino treated this villa as his home and as so while the furnishings are of museum quality the Villa has a relatable liveability about it. The highlight for me being the galleried, panelled library where its easy to imagine oneself ensconced for an afternoon trying to get some work done while being continually distracted by the view outside. A former grand lakeside residence that retains its period interior. A more affordable option perched on a hill overlooking the lake. Another former grand villa. Swimming pool 'floating' in the lake. Close to Villa Carlotta with its amazing gardens. The Classical Orders. Explaining the building blocks of classical design. The Classically Correct Cornice. How to design a cornice. Skirting Board (Baseboard if you're American.) How to design it. How to design a cornice.